2.1	What are you considering when purchasing textile products? A - brand Question What are you considering when purchasing textile products? Tick 5 criteria specially relevant for you. (Step 1) B - material Question What are you considering when purchasing textile products? Tick 5 criteria specially relevant for you. (Step 1) C - social production conditions Question What are you considering when purchasing textile products? Tick 5 criteria specially relevant for you. 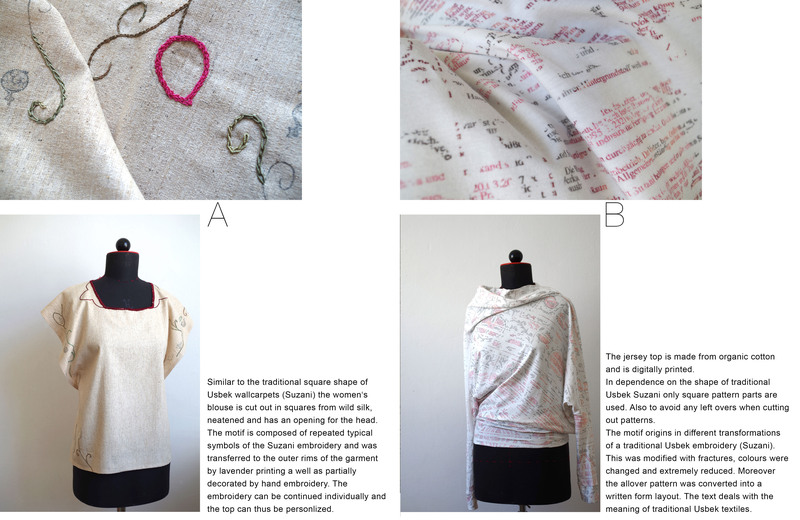 (Step 1) D - handcrafted Question What are you considering when purchasing textile products? Tick 5 criteria specially relevant for you. (Step 1) E - colour Question What are you considering when purchasing textile products? Tick 5 criteria specially relevant for you. 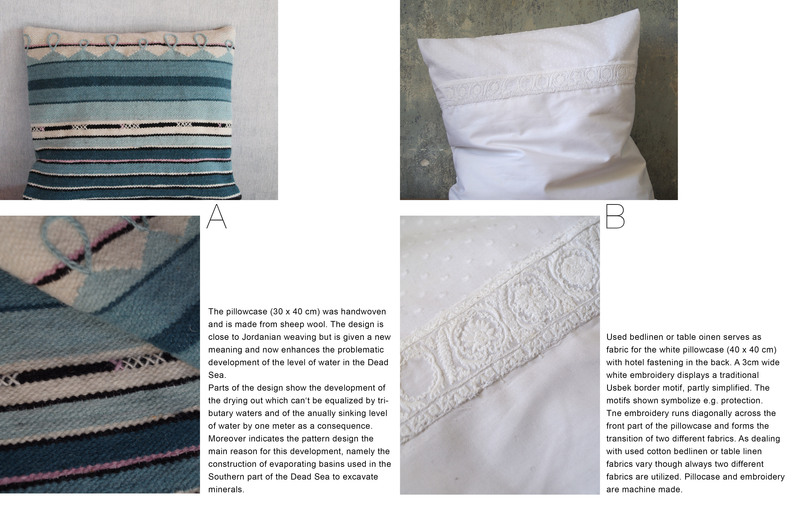 (Step 1) F - pattern, motif Question What are you considering when purchasing textile products? Tick 5 criteria specially relevant for you. (Step 1) G - cut, fit Question What are you considering when purchasing textile products? Tick 5 criteria specially relevant for you. 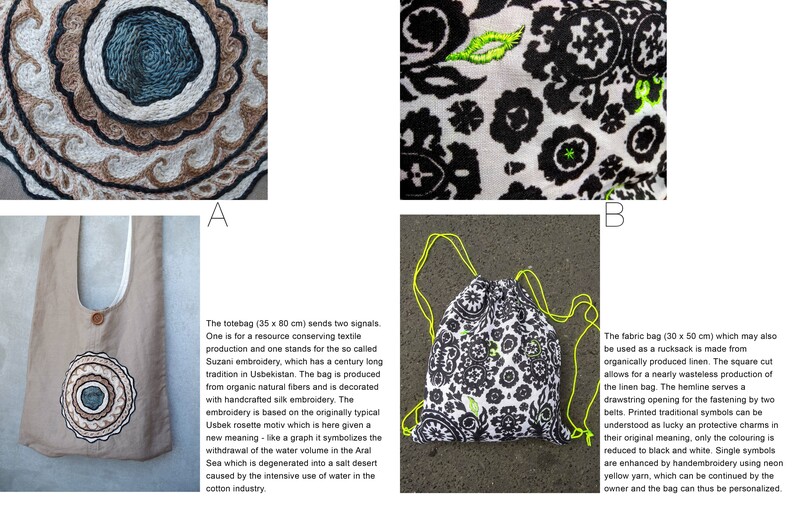 (Step 1) H - trend, fashion Question What are you considering when purchasing textile products? Tick 5 criteria specially relevant for you. 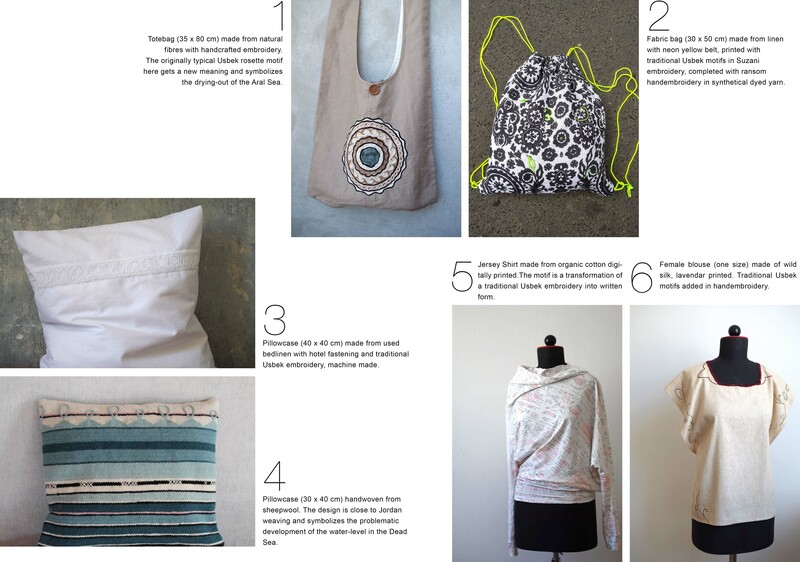 (Step 1) I - ecological sustainability Question What are you considering when purchasing textile products? Tick 5 criteria specially relevant for you. (Step 1) K - matches my person Question What are you considering when purchasing textile products? Tick 5 criteria specially relevant for you. (Step 1) L - good effect on others Question What are you considering when purchasing textile products? Tick 5 criteria specially relevant for you. (Step 1) M - extraordinary Question What are you considering when purchasing textile products? Tick 5 criteria specially relevant for you. (Step 1) N - attracts me Question What are you considering when purchasing textile products? Tick 5 criteria specially relevant for you. (Step 1) O - meets my social roles Question What are you considering when purchasing textile products? Tick 5 criteria specially relevant for you. (Step 1) P - meaning of the motif Question What are you considering when purchasing textile products? Tick 5 criteria specially relevant for you. (Step 1) Q - price Question What are you considering when purchasing textile products? 2.3	 In a second step put your chosen criteria into order specified by the five letters. Question In a second step put your chosen criteria into order specified by the five letters. 3.1Which of the six shown items do you like best? 1 Question Which of the six shown items do you like best? 2 Question Which of the six shown items do you like best? 3 Question Which of the six shown items do you like best? 4 Question Which of the six shown items do you like best? 5 Question Which of the six shown items do you like best? 6 Question Which of the six shown items do you like best? How much money would you spend on the chosen item? _2 JOD How much money would you spend on the chosen item? _5 JOD How much money would you spend on the chosen item? 10 JOD How much money would you spend on the chosen item? 15 JOD How much money would you spend on the chosen item? 20 JOD How much money would you spend on the chosen item? 25 JOD How much money would you spend on the chosen item? 30 JOD How much money would you spend on the chosen item? 35 JOD How much money would you spend on the chosen item? 40 JOD How much money would you spend on the chosen item? 45 JOD How much money would you spend on the chosen item? more How much money would you spend on the chosen item? I'd buy nothing How much money would you spend on the chosen item? 4.1Compare both products. Which product would you most likely buy if asked to decide on one? A Question Compare both products. Which product would you most likely buy if asked to decide on one? B Question Compare both products. Which product would you most likely buy if asked to decide on one? 4.3	 In a next step put your chosen criteria into order specified by the three letters. Question In a next step put your chosen criteria into order specified by the three letters. 5.1Compare both products. Which product would you most likely buy if asked to decide on one? 5.3	 In a next step put your chosen criteria into order specified by the three letters. 6.1Compare both products. Which product would you most likely buy if asked to decide on one? 6.3	 In a next step put your chosen criteria into order specified by the three letters. Your team of the Europe-University Flensburg. Licensed to Europa-Universität Flensburg - EvaSys V7.1 (2152) - Copyright © 2018 Electric Paper Evaluationssysteme GmbH. All rights reserved.